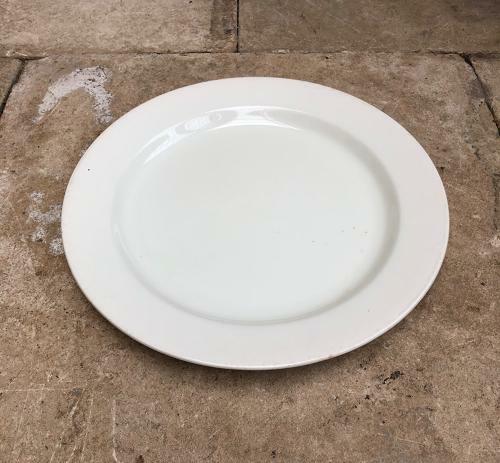 Superb Condition Huge Early 20th Century White Ironstone Plate. Great as a serving plate...for cheese...or for a substantial cake. No damage. Perfectly white and clean. J&G Meakin England Stamp.